One of the biggest challenges real estate agents struggle with is lead generation. So we've created powerful lead generation systems that can help you find buyers and sellers regardless of whether the real estate market is "hot" or "cold." Which is right for you? To help you figure that out we encourage you spend five minutes taking our FREE personality assessment. Once you have the results, return here to match your personality style with the lead generation system most likely to yield results. We have multiple options what will work with both your primary and secondary personality styles! Many agents begin farming because they "like" an area. We’ll share with you how to do the research to learn exactly which geographical farms are likely to bear fruit... and which will be a barren wasteland! Don't begin to work a geographical farm without learning all the ins and outs of what makes geographical farming successful. Many agents will begin a geographical farm, only to mail sporadically or give up altogether after a few months. Don't throw your money away by falling into this trap! A little work and planning up front will make your lead generation dollars stretch and will lead to a successful prospecting lead generation system. Don't delay! Add Building a Geographical Farm to your cart today and never look at prospecting the same way! Building a Geographical Farm is compatible with Microsoft™ Excel and Publisher 2007/2010/2013 and requires that you are able to store the files locally on your computer. If you work in an area with non-owner occupied properties, you may find implementing an absentee owner lead generation program to be very lucrative! This is not a lead generation system employed by many agents. Low competition can equal high-impact! Generally speaking, there are two kinds of absentee owners - those who are happy with the arrangement and may want to invest in additional properties or those who are frustrated owners and want to sell their property. Both cases can lead to commission dollars in your pocket! Don't delay! Add Marketing to Absentee Owners to your cart today and turn on your lead generation faucet! Marketing to Absentee Owners is compatible with Microsoft™ Excel and Publisher 2007/2010/2013 and requires that you are able to store the files locally on your computer. Recruiting and retaining great agents is one of the single most important goals of today's brokers and owners. Have the right team on board, and your office can thrive. But most brokers and owners don't understand how to recruit effectively. That's a problem we can help you solve! Add results to your recruiting efforts with our results-based recruiting tools, designed for the broker or manager who needs help achieving their recruiting goals. A 40+ page manual, detailing how to use your toolkit for maximum effect. The profitability of your office depends on having the right agents on board. Getting them there becomes much easier when you have the right tools in your hand. Order your toolkit today! Make your open house truly unforgettable! Take a tip from us and change those open houses from "blah" to "aaaaahhhh" with our Unforgettable Open House Lead Generation System. 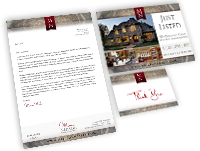 37 templates and content to deliver visual impact built to your open house. Ready for editing in Microsoft Publisher and including Denise's famous "Open House Book"
All templates are customizable with your content, contact information, photos and branding. All templates include example content that you can use get started as quickly and easily as possible. Templates include: About the Area, Agent Biography, Amenities Map, Community Info, Dare to Compare, Home Features Sheet, Invitation Letter for Neighbors, Invitation Notecard, Remove Your Shoes, Price Appreciation Analysis, Special Feature Cards, Tour of Homes Book and twenty-four other ready-to-go templates! The Unforgettable Open House Lead Generation System is available for Microsoft Publisher 2007/2010/2013 and Apple Pages, so whether you're a Mac or PC user, we've got you covered! We liken working with expired listings to picking nice juicy grapes off a vine. They wanted to sell their property, but for some reason were not successful. However, so many agents simply give up after one unsuccessful phone call. But it is the agent who can be consistent and develop a relationship with the former seller who may just wind up placing the "For Sale" sign in the seller's yard. We’ll share with you - step by step - an expired listing campaign that can result in listings when you need them. Manual outlining the psychology of sellers whose listings have expired, and how you can get beyond their distrust of the real estate industry which had failed them in the past. Also, we will share a 12 week easy-to-follow expired listing program that is effective with sellers. 8 templates and content for implementing a 12 week expired listing including our 12 page "Seven Step Home Selling System" and five page "Neighborhood Review" built for editing in Microsoft Publisher. Instructions and tutorial videos on editing the templates. If you are in need of listings, don’t wait another minute! Add Working with Expired Listings to your cart today! Working With Expired Listings is compatible with Microsoft™ Excel and Publisher 2007/2010/2013 and requires that you are able to store the files locally on your computer.